AUSTIN, Texas --- The NCAA Division I Women’s Basketball Committee has awarded regional-round hosting duties for the 2021 and 2022 championships to seven cities. 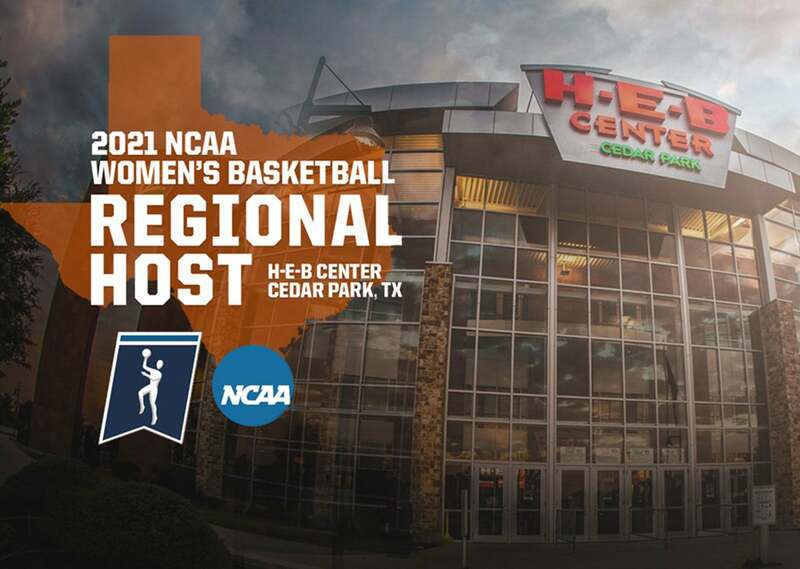 The University of Texas will host a regional in 2021 at the H-E-B Center at Cedar Park. 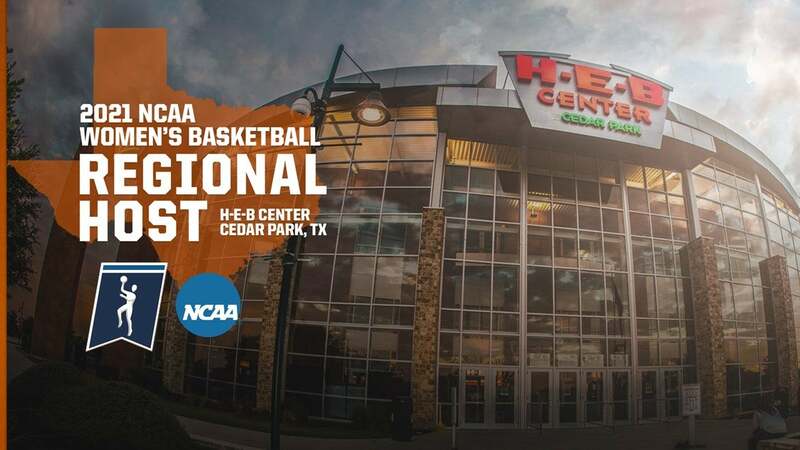 Selected to host regionals in 2021 are Albany, New York (Times Union Center); the Austin, Texas, area (H-E-B Center in Cedar Park); Cincinnati (Cintas Center); and Spokane (Spokane Veterans Memorial Arena), with play taking place March 26-29. Albany, which also will serve as a regional host site in 2019, has hosted twice previously, in 2015 and 2018. Austin, which has hosted an NCAA championship-record 18 regional games at the Frank Erwin Center, will host in 2021 at the H-E-B Center in Cedar Park. The Cintas Center in Cincinnati will be hosting regional play for the first time after hosting first- and second-round action in 2001, 2010 and 2011. An experienced host site, Spokane previously welcomed regional play in 2001, 2008, 2013, 2015 and 2018. H-E-B Center at Cedar Park broke ground in June of 2008 and opened for business on September 25, 2009. It is a multi-purpose venue that serves as home to the Texas Stars, the AHL affiliate of the NHL’s Dallas Stars, and the Austin Spurs, the NBA D-League affiliate of the San Antonio Spurs. The NCAA is a diverse association of more than 1,100 member colleges and universities that prioritize academics, well-being and fairness to create greater opportunities for nearly half a million student-athletes each year. The NCAA provides a pathway to higher education and beyond for student-athletes pursuing academic goals and competing in NCAA sports. For more information on all of the NCAA championship sites awarded, log on to www.ncaa.com/site-selections.